Earnings HQ: FBN’s Cheryl Casone breaks down GS’s third-quarter earnings report. 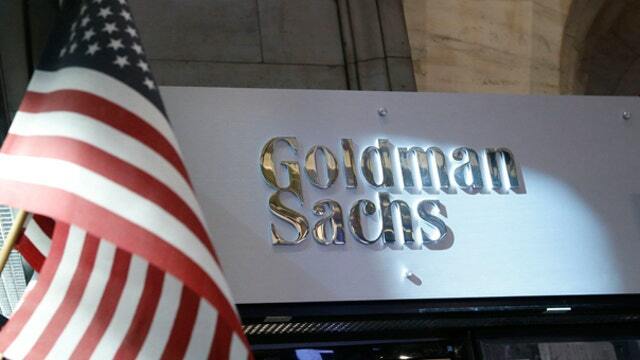 Goldman Sachs Group Inc <GS.N> reported a 50 percent jump in quarterly profit as last month&apos;s pickup in bond market activity helped to boost trading revenue, showing that banks sticking with the notoriously volatile business can reap big rewards. Goldman&apos;s fixed-income, currency and commodities (FICC) business, which once contributed about 40 percent of its revenue, has been on a declining trend since 2009 as new rules discourage banks from trading on their own account. Several big banks have already scaled back their trading operations or quit the business altogether amid doubts about whether the industry will ever truly rebound. But that has left Goldman and a few other banks, including JPMorgan Chase & Co <JPM.N>, to pick up clients and take advantage of periods of market volatility such as that seen in September. Goldman&apos;s revenue from bond-trading soared 74 percent to $2.17 billion in the third quarter as strong U.S. economic data, stimulus measures by the European Central Bank, and the surprise exit of trading superstar Bill Gross from giant bond-trading firm Pimco jolted what had been a listless market. "It is a positive indication that the long drought on the trading floor may be nearing an end," said Chris Kotowski, an analyst with Oppenheimer & Co.
Goldman&apos;s FICC business - the bank&apos;s biggest - contributed about 26 percent of overall revenue in the latest quarter, and its growth far outstripped gains made by JPMorgan, Citigroup Inc <C.N> and Bank of America Corp <BAC.N>. Goldman, also one of the biggest beneficiaries of the resurgence in equity capital markets this year, said revenue from equity underwriting rose 54 percent to $426 million. The bank ranked No. 1 for both equity underwriting and advisory services in the first nine months of 2014, according to Thomson Reuters data, helped by its work on big deals including the $25 billion IPO of Alibaba Group Holding Ltd <BABA.N>. Goldman&apos;s shares were down 1.5 percent at $174.57 in early trading. Equity markets have been sliding in recent days on worries about the health of the global economy, and bank shares have been hit hard. Chief Executive Lloyd Blankfein cited improving economic conditions for the bank&apos;s performance, but acknowledged that "conditions and sentiment can shift quickly." Net income attributable to common shareholders rose to $2.14 billion, or $4.57 per share, from $1.43 billion, or $2.88 per share, a year earlier. Analysts on average had expected earnings of $3.21 per share, according to Thomson Reuters I/B/E/S. Total net revenue rose 25 percent to $8.39 billion. Overall investment banking revenue, which includes M&A, and debt and stock underwriting, rose 26 percent to $1.46 billion. Compensation expenses rose 18 percent, but fell as a proportion of total revenue. Total operating expenses increased 12 percent. Goldman&apos;s annualized return-on-equity was 11.8 percent, for a return of 11.2 percent for the first nine months of the year.